The holidays can be stressful. We get it! 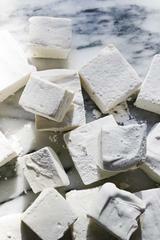 This holiday season, mellow out with our homemade Rosebud CBD infused marshmallows. We love to add them to a warm cup of hot cup of cocoa, but these delicious, relaxing treats can be added to just about anything, or eaten straight from the pan! 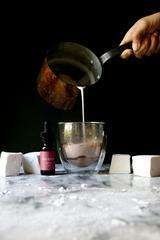 We partnered up with Ellie Zitsman, head of research and development at one of our favorite ice cream shops, Van Leeuwen, to bring you these amazing Rosebud CBD infused marshmallows. Ellie is a graduate of Natural Gourmet Institute, where the importance of health and wellness is prioritized in food. From there, she found her footing as a chef working the line at high-end kitchens in NYC, while moonlighting as a pastry chef and recipe developer at 99th Floor, an edibles company that curates underground infused dining experiences. When she’s not developing delicious new ice cream flavors, she still loves to play hostess, and particularly enjoys a yummy brunch friends and family.